Every parent has their own style when it comes to educate their children. Parenting styles depend heavily on certain factors like parents’ educational background and children’s need. Regardless of the parenting styles, sometimes parents do common mistakes that potentially harmful to children. So, what are some common mistakes parents make that probably could hurt their children? It’s good to praise your kids after they accomplished something, but those ‘evaluative praises’ and descriptively praising every good behavior is a form of reward that they will come to expect as motivation to want to do things in the longer term. For example, a child who is praised for being ‘smart’ or ‘clever’ will less likely to take on new challenges when they’re older, because they’re afraid of making mistakes and not living their parents’ expectation. Today, parents are becoming more anxious and over-protecting their children. Although protecting our children and stopping them from making mistakes may sound like a positive thing to do, actually we are denying them the opportunity to learn from their mistakes and take responsibility for their own actions. Being too protective to our children also will make them too depending to you when they’re older. They will be too afraid to take challenges and too frustrated during difficult times. Many parents punish their children when they make mistakes. Although parents need make children accountable for their actions, there are far more effective ways of achieving this than resorting to punishment and fear tactics. Research shows that there is a long list of potential consequences of punishing. 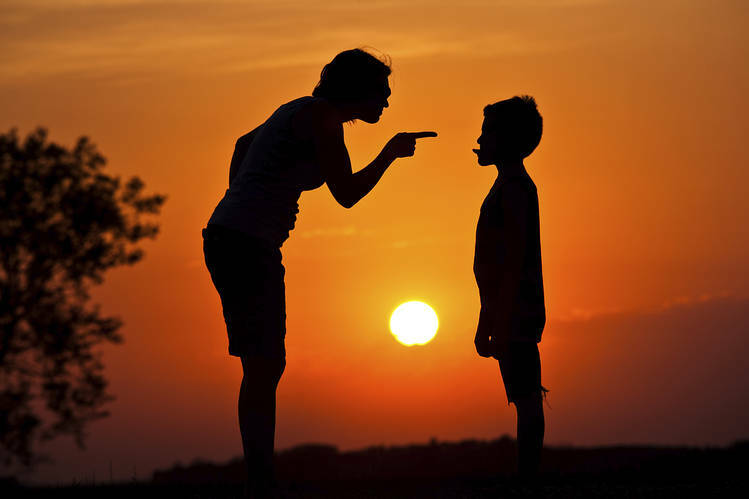 Punishment can damage the relationship and connection between parents and children, make them become resentful and increasingly aggressive, and they will learn to lie as a means of avoiding future punishment. Using phrases like “boys don’t cry” or “come on, it’s not that bad” can create serious anxiety in the long-term, because it can cause them to become unsure of themselves and distrustful of their own emotions. Don’t let them bury their feelings and teach them to always express their feelings. It will not only make them happier—they also will learn to be true to themselves. ‘Tiger parents’ is a term referring to as pushy parents who only focus on their kids’ achievements and academics, and have a tendency to engage in ‘competitive parenting’. This parenting style can ‘crush’ children and affect the rest of their life. It is true that many children react positively to this parenting style and excel academically. However, other children may end up being unhappy and feeling ‘stuck’ with their life when they feel like they cannot accomplish their parents’ wishes.